Photograph taken April 17, 2008. Pine Tree Canyon Road, Kern County, California: near CA Hwy 14. Frequently Asked Questions: Pine Tree Canyon. Field Notes: at Pine Tree Cyn. 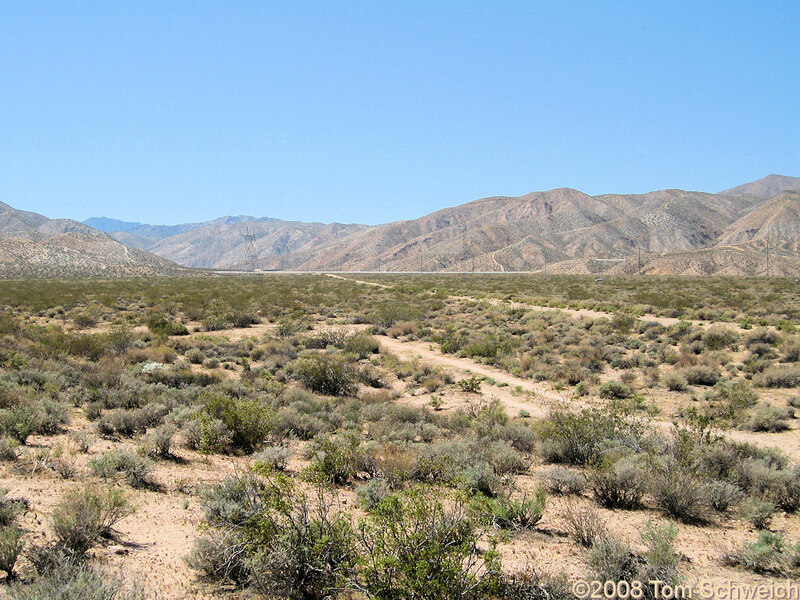 Other photos about Geography - Central Mojave or Pine Tree Canyon.